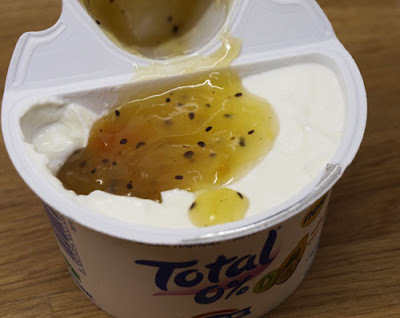 Recipes Cooking: A moment on the lips not so much on the hips! I dont know about you, but I need to lose a few pounds after the long, cold dark winter. Ive been tempted by warming puds which are now all around my hips! But wait....whats this? 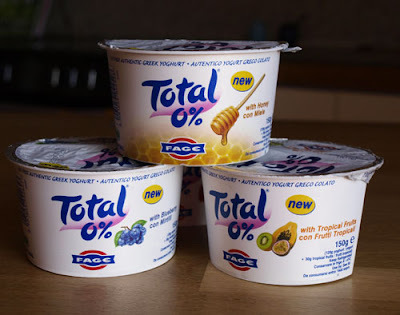 Those lovely people at Total have created the perfect answer, providing a hit of creaminess with a shot of sweetness, its the Total 0% greek yogurt split pot! 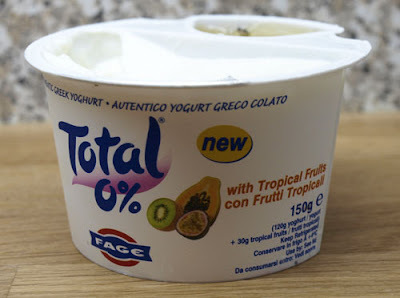 Now although these Total Greek Yogurt Split Pots are delicious just as they are, I couldnt resist the urge to mess around with them. This weekend I seemed to have a lot of little clememtines in the fruit bowl, so decided to make a fruit salad. 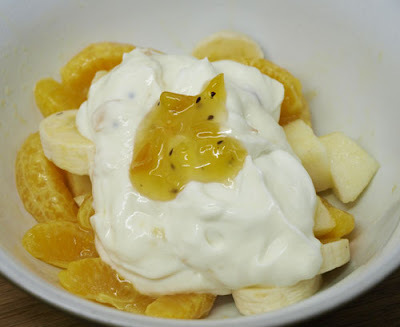 I genlty poached the clementine segments in orange juice and a teaspoon of caster sugar for about 10 minutes. Then once it had cooled added the chopped apple and banana.